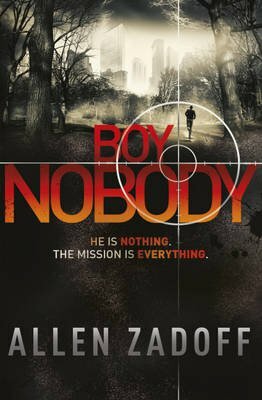 The explosive new thriller for fans of Jason Bourne, Robert Muchamore and Michael Grant. Boy Nobody is the perennial new kid in school, the one few notice and nobody thinks much about. He shows up in a new high school, in a new town, under a new name, makes few friends and doesn't stay long. Just long enough for someone in his new friend's family to die -- of "natural causes." Mission accomplished, Boy Nobody disappears, and moves on to the next target. When Boy Nobody was just eleven, he discovered his own parents had died of not-so-natural causes. He soon found himself under the control of The Program, a shadowy government organization that uses brainwashed kids as counter-espionage operatives. But somewhere, deep inside Boy Nobody, is somebody: the boy he once was, the boy who wants normal things (like a real home, his parents back), a boy who wants out. And he just might want those things badly enough to sabotage The Program's next mission.